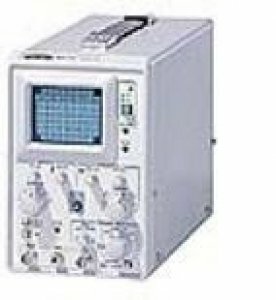 The GOS-310, 10MHz analog oscilloscope is designed for education, hobby and maintenance use. Standard trigger modes include auto, norm, ext and TV sync. and are applicable in various market fields. High 5mV/div sensitivity extends the measurement range and increases the test accuracy. 10MHz bandwidth, single channel, 4.6kg light weight and compact size design make the GOS-310 best choice for affordable yet high performance oscilloscope.